The Line 6 Relay G55/V55 Rackmount Kit allows you to easily rackmount a single receiver or two receivers side by side. 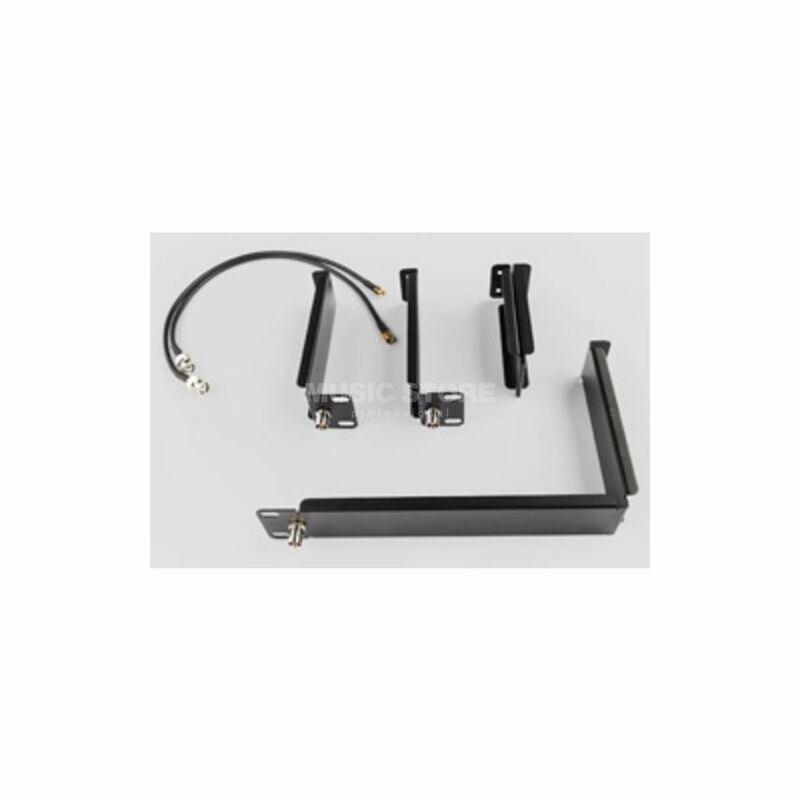 The kit includes two short rack ears, one long rack ear, one joiner adapter, BNC-to-SMA extension cables and SMA-to-BNC panel-mount adapters for front-mounting antennas, metric (M6) and English (10-32) rack screws, and a hex key 7/64" wrench for installation. Works with any Line 6 BNC antenna system; antennas not included. For multiple receivers, the G55/V55 Antenna Splitter Kit or XD-AD8 Antenna Distribution System is recommended.